By Imbibe Articles, Wine + Beer May 25, 2018 Photo courtesy of Blake's Hard Cider Co.
Michigan maker Blake’s Hard Cider Co. released cans of their new summer seasonal this month, Rainbow Seeker Pineapple + Sage Hard Cider. The semi-sweet cider pressed from their estate-grown apples is blended with pineapple juice and sage. The result is a harmoniously sweet-tart cider, bright with the taste of fresh pineapple and finishing with the complementary herbal quality of the sage. 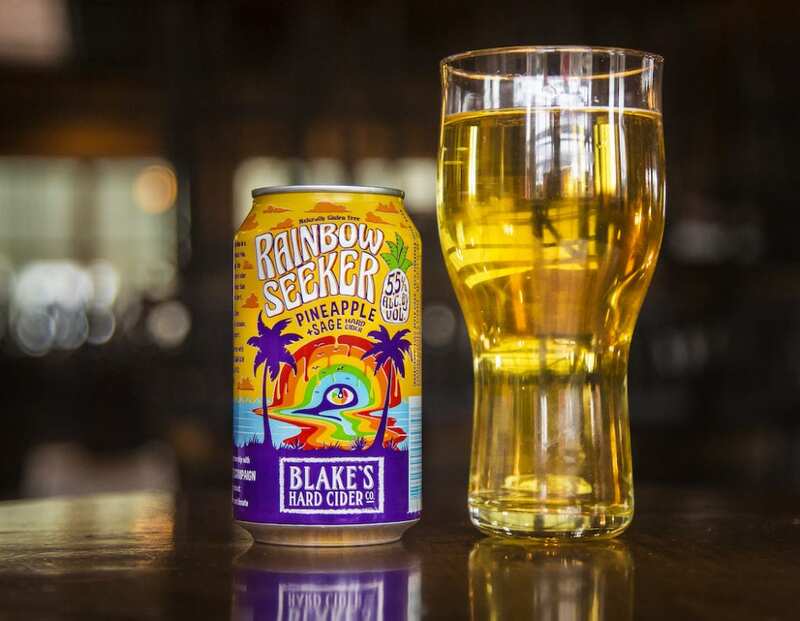 The first release in their Kinder Cider Series, Blake’s partnered with The Human Rights Campaign, a leading LGBTQ civil rights organization, to offer a portion of the proceeds from Rainbow Seeker to help fund a $40,000 direct donation. The colorful cans will be available through the summer, and the cider will also be poured on draft throughout Blake’s distribution footprint. $10.99-11.99/ 6-pack, see blackeshardcider.com for distribution. 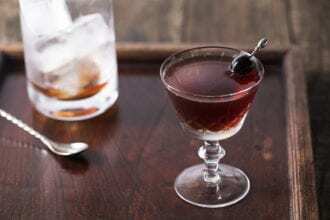 From the Rob Roy to the Queen’s Park Swizzle.